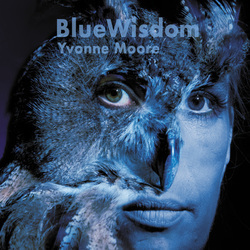 A long-awaited return to the blues is the big headline for Yvonne Moore's Blue Wisdom. 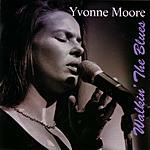 After bursting onto the scene in a major way with her debut release Walkin' the Blues, where she was heralded as the "best blues voice in Switzerland", Moore surprisingly changed directions and went down the path of singer/songwriter on her next 3 albums. 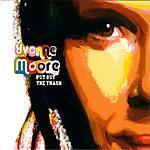 However along the way Moore matured from vocalist to artist, and the difference is clearly evident on Blue Wisdom. Blue Wisdom is not just a simple return to form, but a complete unraveling of expectations and will no doubt surprise long-time fans with it's style and approach: gone are the big arrangements, horn sections and slick production of Walkin', and in are raw, muscular, intense burners from a quartet that are if anything, even more powerful. Hank Shizzoe is brilliant on guitar, giving every song a stunning and distinct personality and force. Andre Pousaz on upright bass and Andi Hug on drums create a compelling atmosphere that surrounds the band in a warm, blue fog and elevates the entire record. In all, the playing on Blue Wisdom is exceptional and stirring. 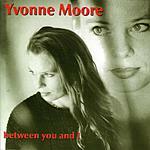 Topping it off, Moore's vocals are every bit as powerful as ever, but here the strength lies within her command and interpretation of these great songs, through emotion and gravitas, wherein the songs become truly her own. 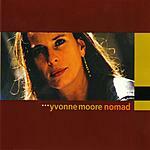 So Moore and band do not at all give us Walkin' II. They give us something decidedly different from the other side of the genre. It is a richly seasoned and expert approach, from the song selection to the arrangements to the musicianship and singing, one that probably would not have availed itself directly on the heels of Walkin'. Blue Wisdom indeed .